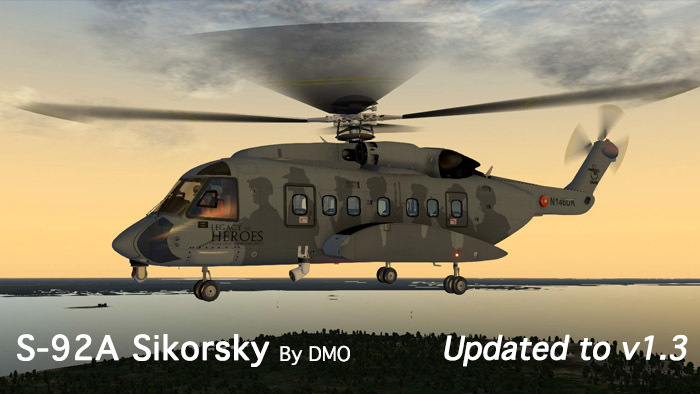 DMO has updated his Sikorsky S-92A to revision 3 or v1.3. The revision includes a significant amount of rework to the aircraft. 1) Updated Anti-Ice controls: Inlet Anti-Ice Switches 1 and 2 are linked to the respective main engine (Main Engine Inlet 1 or 2). 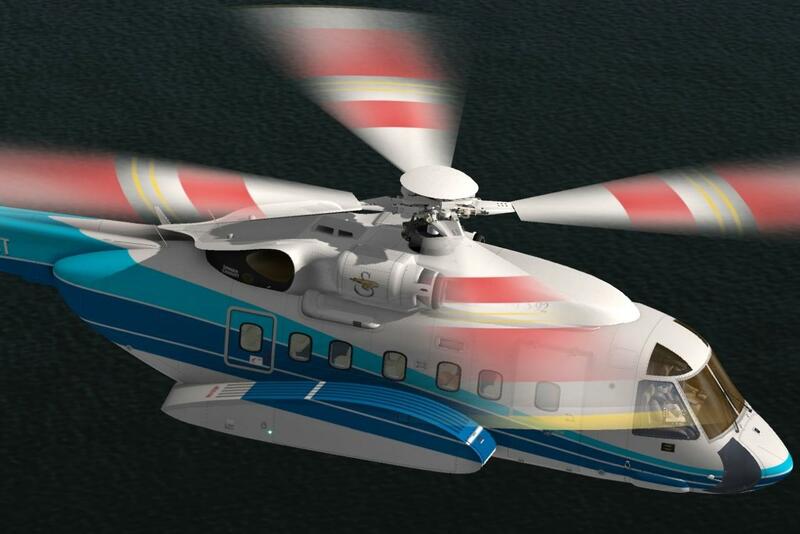 Rotor Ice Protection System (RIPS) switches are linked respectively to the main and tail rotor; switch 1 is for the main rotor and switch 2 is for the tail rotor heat. Omnibearing selection (OBS) knob for NAV radio receivers. Knob automatically controls OBS settings for whichever NAV radio receiver is active (NAV 1 or NAV 2). 2) Added custom lights/HDR lighting enhancements. 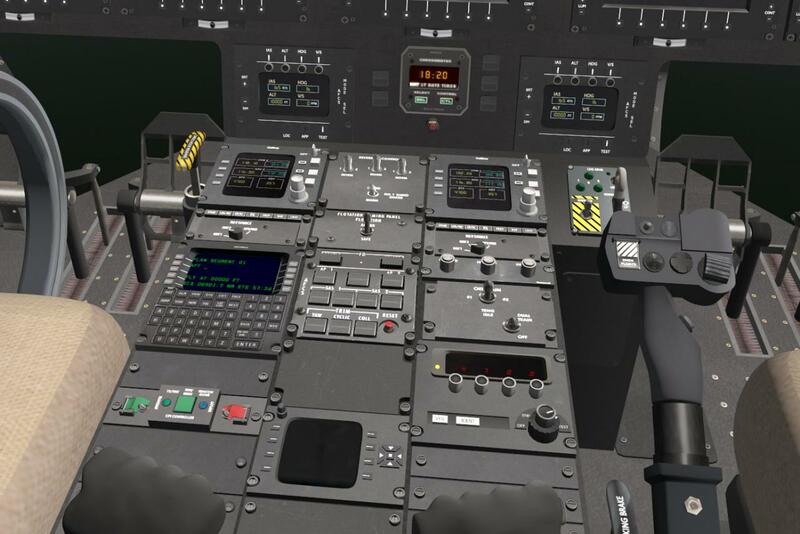 There are now exterior Crew Loading and Cargo Loading lights that can be toggled by switches in the cockpit (overhead panel) These lights will cast pools of illumination on the aircraft and the surrounding scenery when HDR lighting mode is enabled. There is also an interior 3D light in the rear cargo ramp/baggage compartment. The light is tinted dark blue/violet to limit the loss of night vision acuity. 3) Searchlight is now controllable (in Search and Rescue [sAR] variant). From the control station in the cabin, the searchlight can be articulated by using the two knobs labelled “Searchlight HDG” and “Searchlight PITCH”. In HDR lighting mode the pool of light generated by the searchlight is visible and now moves in accordance to where the searchlight is pointed. 4) Updated all livery object textures to DDS (advanced image compression) format. Enhances compression/framerate trade-off as opposed to X-Plane compressing PNG textures on the fly. 5) Improved 3D cockpit flood light. Brighter and more effective; still controlled by the overhead dimmer knob labelled “Flood”. 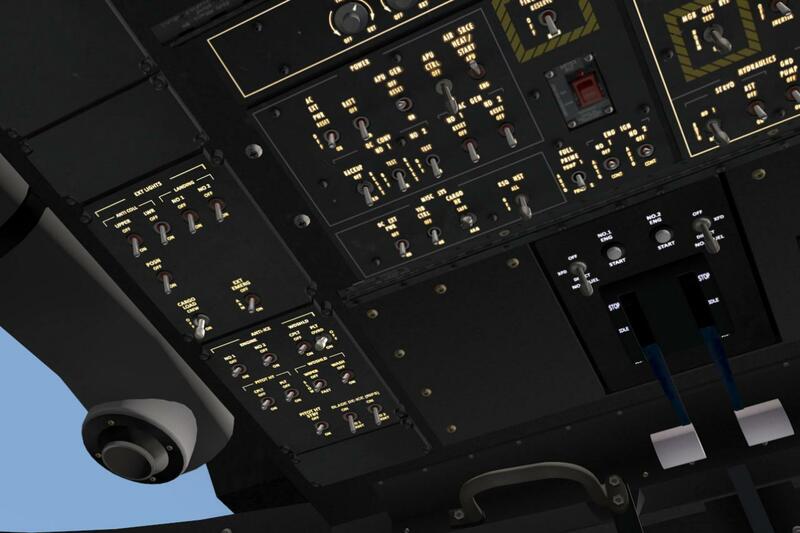 6) Main Cabin Door is updated to ensure that it can be opened manually, even when there is no electrical current (it is linked to the “flaps” data in the .acf file, so in previous versions the door could not be opened unless the battery or alternators were on/providing electricity). 7) Updated OBJ’s with faulty normals, namely the cockpit window hatches. No more weird, shard-like specular light reflections, and fixed the inverted normals on the left seat window knob. 8) PreFill attributes assigned to large opaque object files; enhances GPU drawing efficiency (better framerate potential). 9) Normal Textures reverted to uncompressed PNG format. 10) Minor cabin lighting adjustments, including all lights going off when the Cabin lighting switches are toggled off (Exception: the emergency exit signs remain illuminated at night as long as the battery/electricity is on. 11) Updated code for exterior landing lights, prevents the left landing light bulb on the nose (OBJ) from remaining lit when the number 2 landing light switch is toggled off. 12) Normal Textures updated with minor improvements to the specularity and bump (roughness) of certain areas. 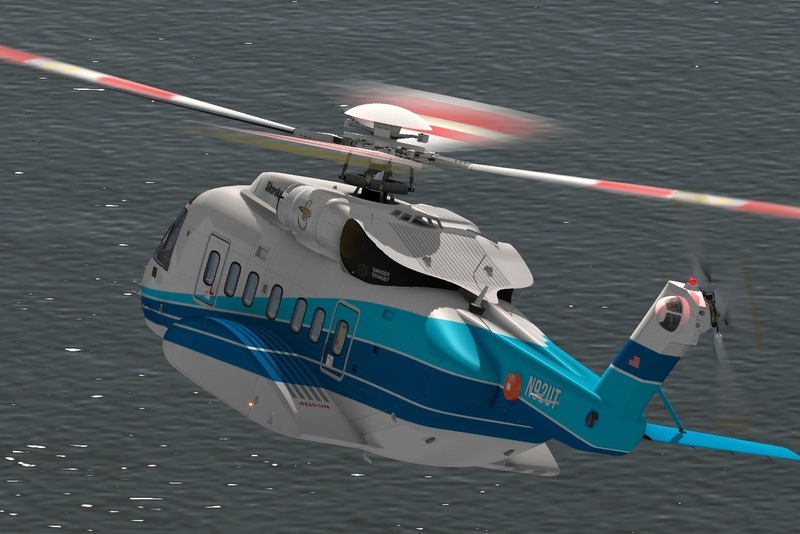 13) VH-92 exterior fuselage texture updated with minor fixes to the right main wheel well. 14) Updated the invisible tail boom stinger, to help simulate the strength of the tail boom structure in the event of a tail strike. Now it's positioned properly on all variants and has the proper invisibility settings. 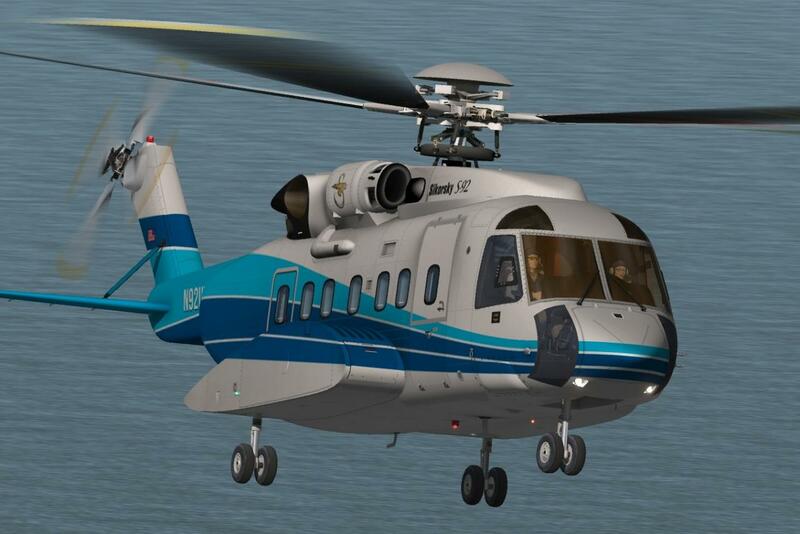 There is also new livery (Header image) for the Search and Rescue variant; Sikorsky "Legacy of Heroes" paint scheme. 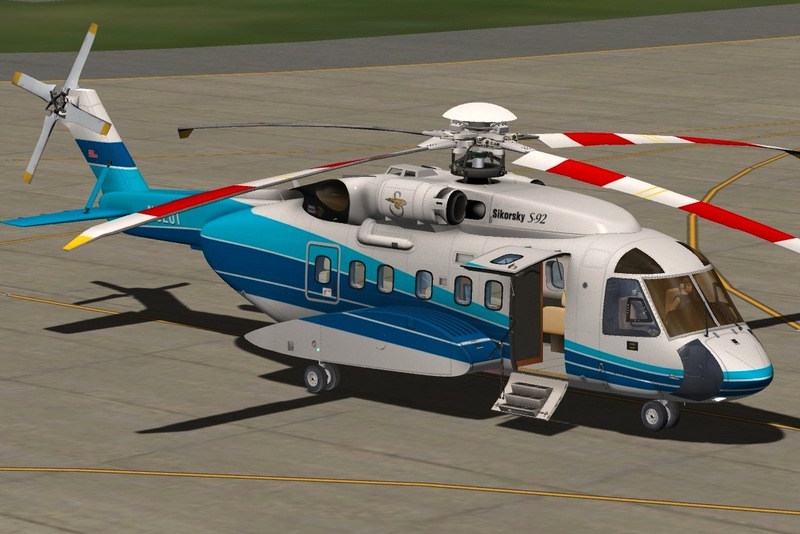 This livery is from a special S-92 that was taken around the world in late 2011-2012 on a public relations tour to celebrate the legacy of Sikorsky products being used by para-public (police, fire, ems), paramilitary and military crews to save and protect people. Note : this 1.3 update is for exclusively X-Plane10 users and uses the X-Plane10 features. 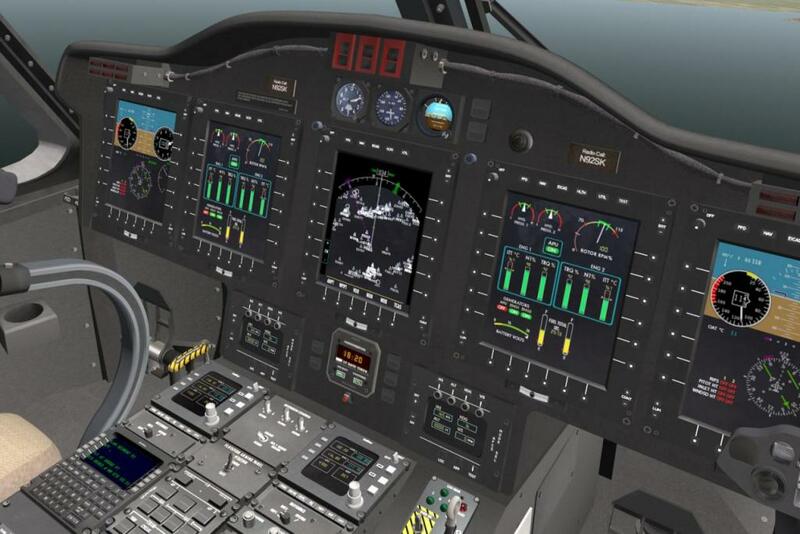 v1.2 is still available for Xplane9 users on request. X-Plane 10. 32 or 64 bit. 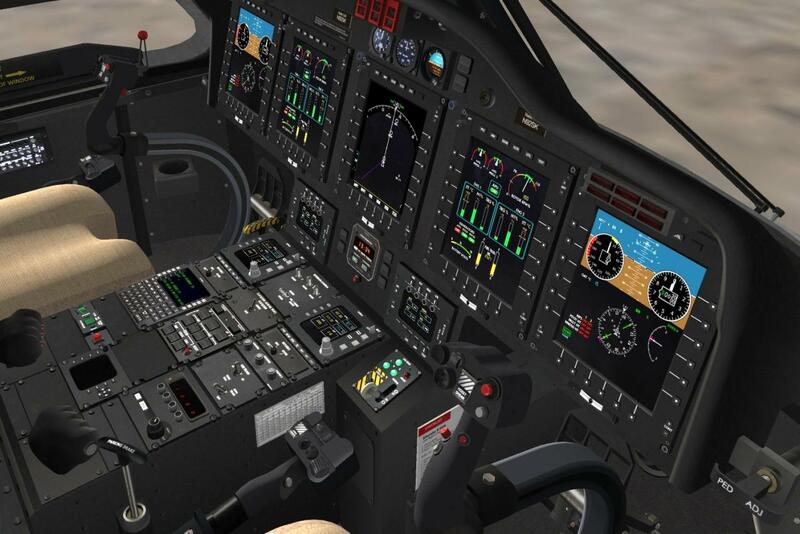 X-Plane 9 version v1.2 is still available on demand. Just place the order and send us an email to get it.